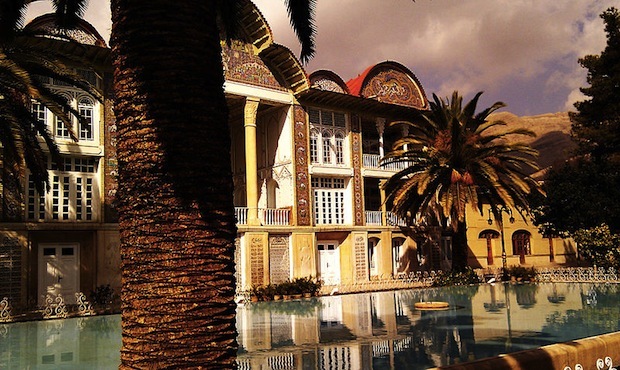 The Farsi province capital and the city of poet Hafez, has also borrowed its name to world-renowned wines. Your Middle East’s Carmen Manea tells the story of Shiraz. According to an Iranian myth, wine was discovered by mistake by a girl rejected by her king, who wanted to commit suicide by poisoning herself with the remaining liquid residue of rotten grapes. The fermented result made her pass out, only to awaken the next day and report her finding on the intoxicating quality of the grape juice to the king, who rewarded her. The story of the modern day Shiraz wine is, in fact, a legend. While serving in the crusades, French knight Gaspard de Sterimberg discovered delicious grapes on the outskirts of Shiraz and decided to bring some cuttings back to France to grow on his farm in Hermitage, in the Rhone Valley. Another, less known, myth is that the wine was introduced to France by the Basque peoples of the Pyrenees Mountains who were believed to be trading with the Persians. However, these particular inhabitants of the mountains were conducting most of their travels by sea, mainly across the Atlantic, rather than towards the East by land. These Western accounts of how the Syrah (France) or Shiraz (Australia, South Africa, USA) were brought to wider and international circulation do not represent in any way the roots of the original Shiraz wine. Around the 9th century, the Shirazi wine was recognized as the best wine of the Middle East. About seven centuries later, it was discovered by the Brits and further promoted as one of the best worldwide, which led to merchandising of the grapes to Europe on the Persian Gulf route. Culturally, around the time of the poet Hafez, 14thcentury life revolved around drinking wine, at least according to his poems. But it goes even further: ‘mey’, wine, and ‘saghi’, the one who pours wine, have represented iconic images in Persian culture and writings for more than a millennium. To the dismay of the French, recent archaeological and anthropological discoveries in Persian territories have dated wine usage in Persia to 5,400-5,000 B.C. In France, the earliest date of traces of wine is about 500 B.C., making the Persian discovery the earliest wine usage in the world. This new proof demonstrates that wine was tied to the making of the first permanent establishments, and the domestication of flora and fauna. The historical city of Shiraz lies about 70km from the ancient Persepolis city built by Darius, at an altitude of 1,600 meters, offering a perfect climate for vineyards and grapes. The wine has been famous for centuries, long before the Europeans escorted it to their royal courts around the 17th century in what were perhaps the first ever glass bottles that the Old continent had seen. Unfortunately, the legend proved to be false. According to a University of California study performed in 1999, DNA testing has shown that the Shiraz/Syrah wine as it is known today, is a product of two French native grapes and not of Persian ancestry. Nevertheless Shiraz was a wine-producing city for millennia. Before the Islamic revolution in 1979, there were up to 300 wineries in Iran; now there are believed to be thousands, but they are illegal and underground. As a whole, Iran is not a wine producing country – obviously – but rumour has it that villagers that live nearby Shiraz produce small quantities in secret. The once world famous vineyards have been transformed into crops of table served grapes. The punishment for drinking alcohol in Iran includes physical punishment, a fine and imprisonment. However, all kinds of liquor are smuggled into the country, and despite the continuous crackdown, there is no shortage of costumers. In fact, the Islamic regime is somewhat caught in the middle: while Islam prohibits the use of alcohol and the Koran sees intoxicating substances as the work of the devil, wine drinking represents an integral part of the Persian culture and legacy, one that Iranians are very proud of. The Persians did not even stop making and consuming wine after the Prophet spoke against wine consumption. So while the legend of Shirazi grapes being escorted across continents to France and making their way into worldwide consumption in recent decades is scientifically disproved, the city of Shiraz and its ancient history in wine production proudly names one of the most sought after wines in the world at the moment. The true wine connoisseurs will always appreciate not only the bouquet of a specific glass of wine, but its history as well.